[/MM_Access_Decision]Having the ability to digitally create a realistic orchestral cue from instrument libraries is an essential skill for any game and film composer. 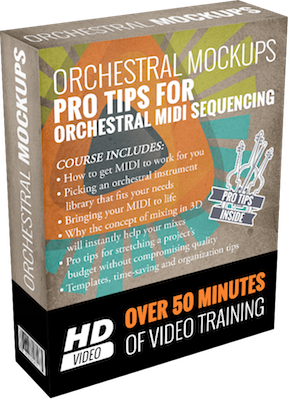 Our Orchestral Mockups course dishes out tips and techniques used by pros to get MIDI to work for you, bring virtual instruments to life, mix in the third dimension, and how to stretch a game or film project budget without compromising quality. 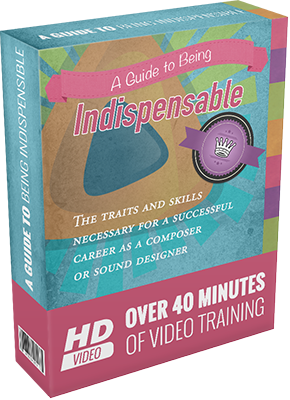 In this course you’ll gain skills that you can instantly apply to your music to dramatically improve your orchestral mockups. [/MM_Access_Decision] In this course, Andy Forsberg details the traits and skills necessary for a successful start in your career. Forsberg approaches the topic from a film scoring background, but his advice applies to the game audio industry as well. Peppered with personal stories and experiences throughout, he discusses analyzing where you are and where you want to be, how to make the best of your time in school, internships and thinking more about your career, improving your technical skills and people skills, tips for boosting your "likability factor", and how to be someone that others crave working with. [/MM_Access_Decision]Video games offer a myriad of new and exciting ways to put your audio in front of a huge, enthusiastic audience. With the rise of independent games, there are an immense number of opportunities to work in the industry as an audio professional. This course will be covering how one can break in to such a fast-paced industry and how to work as part of a development team. 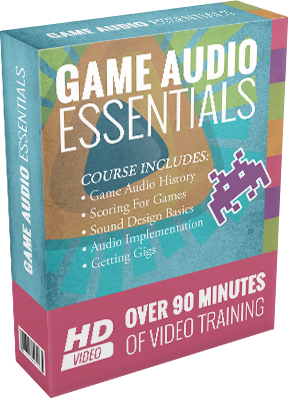 [/MM_Access_Decision]Game Audio Essentials is a 6-part course that serves as an introduction to the technical and creative aspects of video game audio. 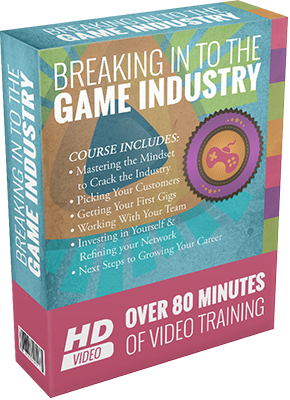 In the course we cover everything from game audio history, creating interactive musical scores, sound design, and breaking in to the game industry as a whole. No prior game scoring experience is necessary, but a love of video games is a plus! Students are recommended to own or have access to a computer with MIDI sequencing and audio recording software to complete the course challenges. 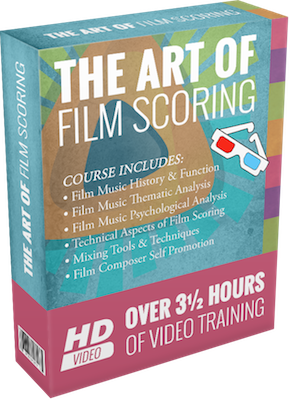 [/MM_Access_Decision]The Art of Film Scoring is a 6-part primer into the technical and psychological aspects of film composition. 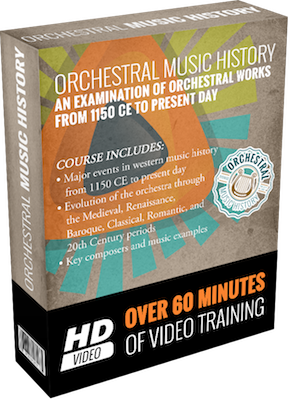 Through the course we cover film music history, thematic analysis, music theory and composition, technical aspects of film scoring, and self promotion tips including resources for website creation and audio and film publishing. No prior film scoring experience is necessary. Students are recommended to own or have access to a computer with MIDI sequencing and audio recording software to complete the course challenges. [/MM_Access_Decision] Used by Coldplay, T-Pain, Foster The People, and The Killers, Logic is a music production powerhouse. It’s also more accessible than ever with the new Logic Pro X release from Apple priced at $199. 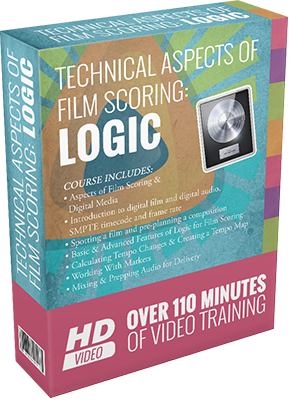 Logic has powerful film scoring features, including video syncing, SMPTE time code support, variable frame rate, and a complex tempo calculation tool. No prior film scoring experience is necessary. Students are recommended to own or have access to a computer with MIDI sequencing and audio recording software to complete the course challenges. 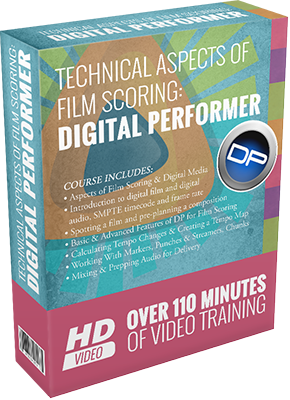 [/MM_Access_Decision] Digital Performer is arguably the standard music creation platform for film scoring. In use by many A-list Hollywood composers (including Michael Giacchino, Howard Shore and Danny Elfman), DP has rock-solid video syncing capabilities, and boasts many other unique features like punches & streamers to video, a multi-sequence “chunk” window allowing for total cue management in one file, and more. No prior film scoring experience is necessary. Students are recommended to own or have access to a computer with MIDI sequencing and audio recording software to complete the course challenges.